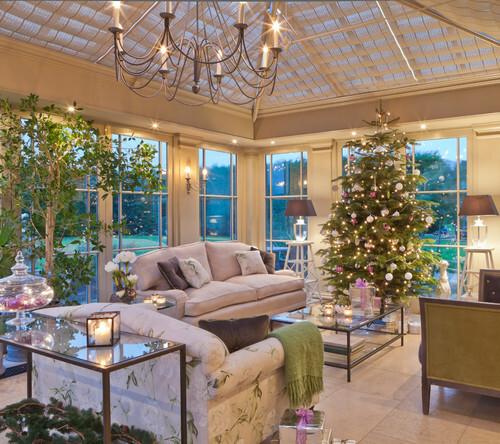 Christmas Decor: Trees in the Conservatory | Christmas All Year ~ It's Ever Christmas! Hello, Everyone! Today, we’re enjoying the beauty and ambiance of Christmas trees on display in a conservatory (sun room). 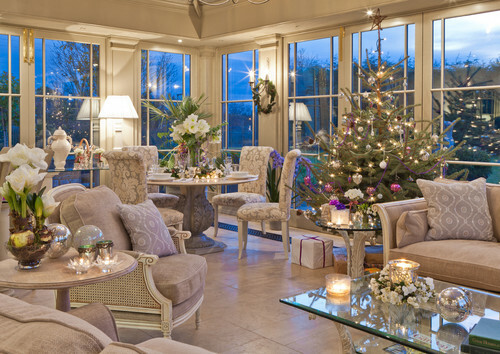 Below, you will see daylight views and night-time/dusk views of a very inviting conservatory, with its Christmas trees. 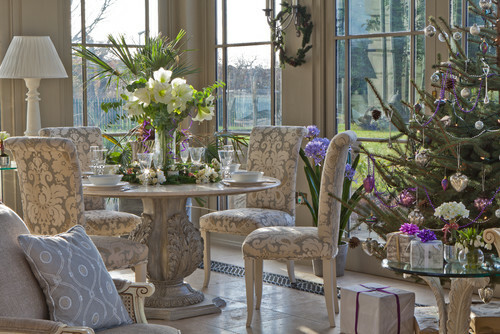 I think conservatories/sun rooms are wonderful spaces to enjoy the ambiance of beautiful Christmas Decor in, year-round! Well, my words are few for this post and I hope you enjoy viewing the blissful, beautiful sun room’s decor. As always, I’m grateful for each of you, all year! Thank-you for being here and enjoying Christmas, so much! 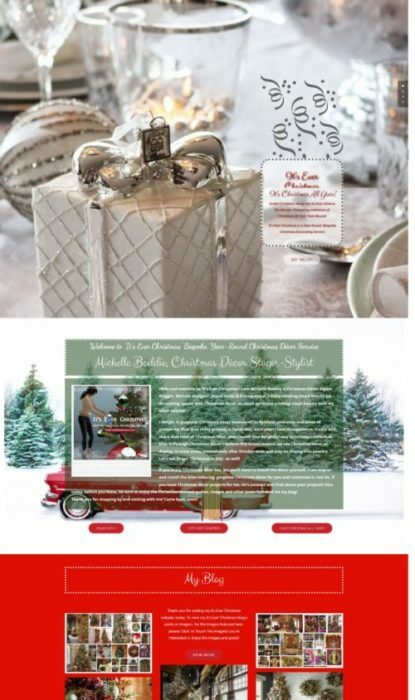 This entry was posted in Christmas Decor, Christmas in January, Michelle's Top Favorites and tagged 365 Days & Nights of Christmas!, Christmas, Christmas Decor Styling, Christmas ornaments, Cristes Maesse, Cristes-messe, Dies Natalis, Il Natale, Kerst-misse, the Mass of Christ, Weihnachtsfest. Bookmark the permalink.